South Texas College of Law Houston’s (STCL Houston) moot court program is ranked No. 1 in the nation, according to new data compiled by the University of Houston Law Center’s (UHLC) Blakely Advocacy Institute. Each year, the Institute ranks law schools across the nation using a scoring system that evaluates the quality of the moot court competitions, the size of the competitions, and the overall performance of schools in the competitions to determine the best 16 programs in the nation. These schools then are invited to participate in what UHLC deems “the best of the best” annual Andrews Kurth Moot Court National Championship in Houston. Moot court – an extracurricular activity that simulates appellate court proceedings – enables students to apply classroom knowledge in a courtroom setting, hone their research and writing skills, and learn how to argue both sides of a case before a judge. Also known as advocacy training, moot court helps students learn to think like practicing attorneys and gain valuable, real-world skills that give graduates an advantage in competitive job markets. Since 2009, when the Blakely Advocacy Institute began ranking law schools’ moot court programs, STCL Houston students have won 30 national moot court and mock trial competitions – no other law school in the United States can claim half as many national advocacy titles. Notably, U.S. News & World Report ranked STCL Houston among the “Top Ten for Trial Advocacy” in its law school rankings released earlier this year, and preLaw magazine named South Texas “Best Moot Court of This Decade” in 2016. 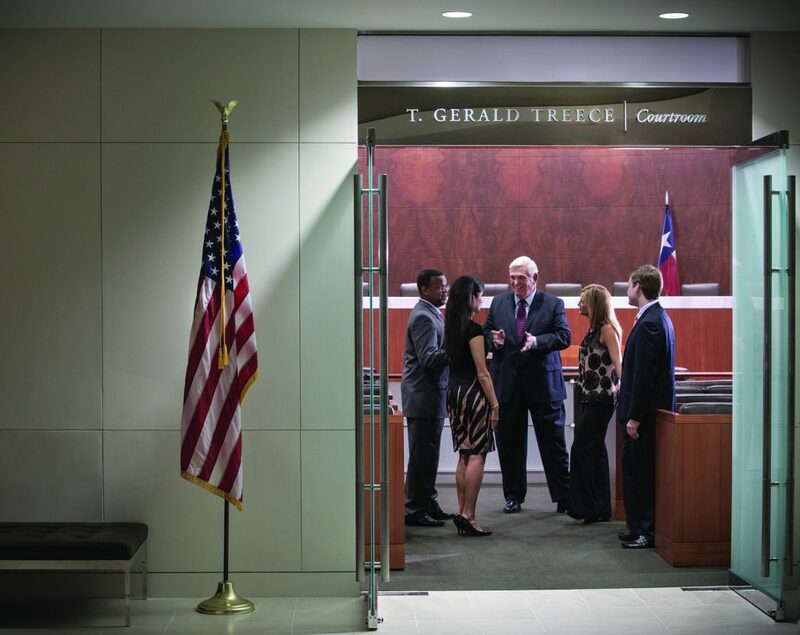 In addition to the dedicated faculty, hard-working students, and loyal alumni coaches – who are former award-winning STCL Houston advocates themselves – Treece credits the law school’s excellent Legal Research and Writing program with much of South Texas’ success on the national advocacy stage. This year, U.S. News & World Report ranked STCL Houston’s Legal Research and Writing program 25th in the nation, in large part because of the foundational training students receive, resulting in the school’s success at the prestigious American Society of Legal Writers’ Scribes competition – the most respected legal writing competition in the nation. The annual Scribes award is granted based on a review of all the “Best Brief” awards distributed at moot court competitions across the country in an academic year. To date, South Texas College of Law Houston has won 21 Scribes awards, including five first-place Best Brief awards, which is more than any other law school in the United States. In 2012, STCL Houston swept the entire Scribes competition, winning the Best Brief award, runner-up Best Brief award, and Honorable Mention among all briefs submitted throughout the year’s national moot court tournaments. T. Gerald Treece, center, South Texas College of Law Houston (STCL Houston) vice president, associate dean, and director of the school’s championship Advocacy program for the past 40 years, meets with student advocates in the courtroom named in his honor at the law school in downtown Houston. The Blakely Advocacy Institute at the University of Houston Law Center recently ranked STCL Houston’s moot court program No. 1 in the nation.